“Don’t judge a book by its cover” is what I can say about this place. 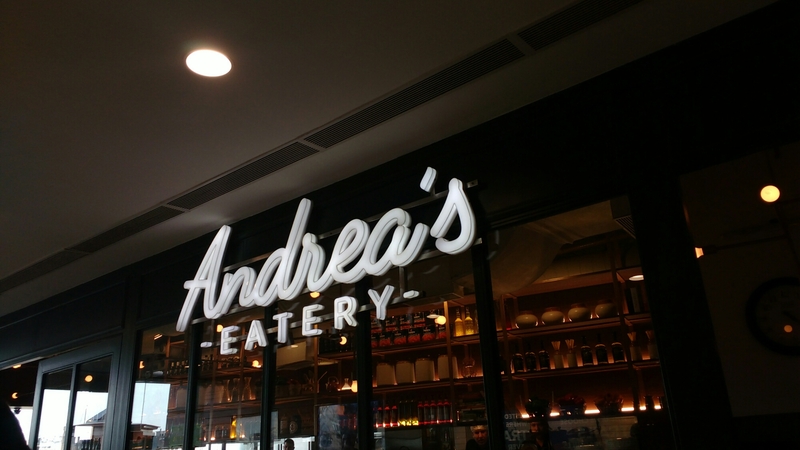 From the appearance of Andrea’s Eatery no one can say that a place that looks like a cafe is serving delicacies from around the world. 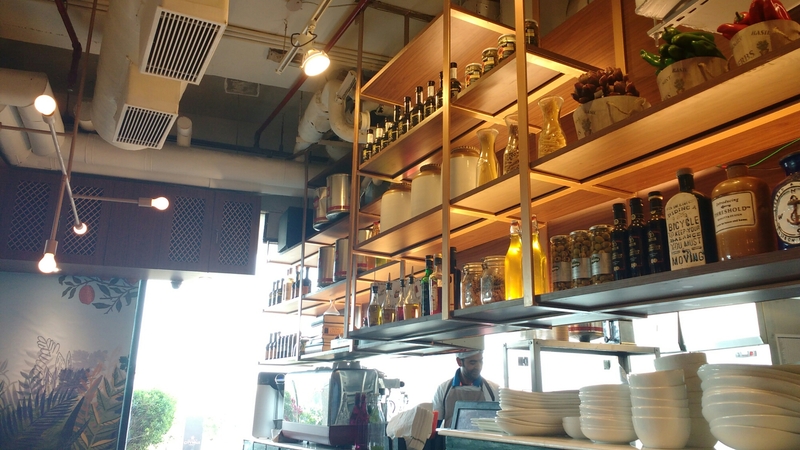 While looking for Amici I found that it has been replaced by Andrea’s Eatery, when went through the menu and found handpicked dishes from across the globe. Without wasting any time decide the luncheon here. The place has an European touch of décor and the seating. 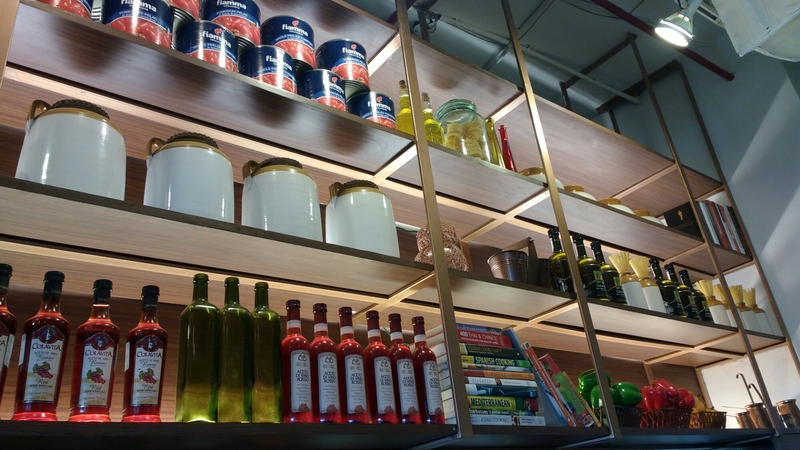 Open kitchen and peppy interiors gives a lively look to the place. Coming to the food and beverages. Ordered two drinks Blueberry Cheery Smoothie and Summer is here. The smoothie was rich and thick with apt amount of sweetness. 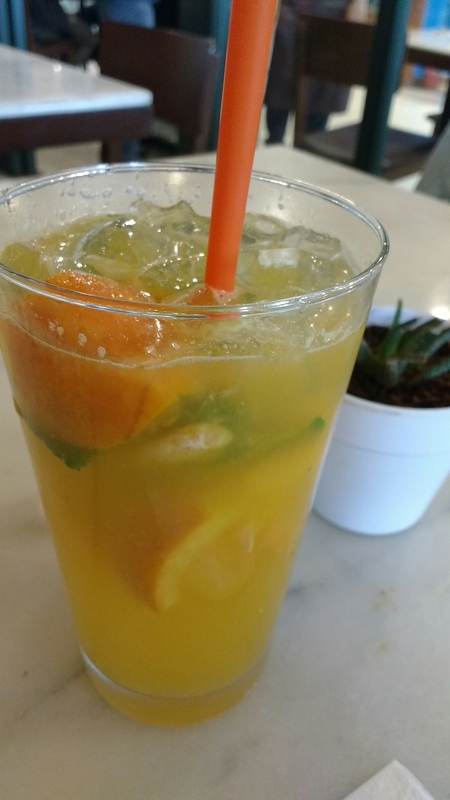 The Summer is here is a concoction of Kafir Lime and Orange Juice a very refreshing and perfect drink for summer. Moving on to food. The menu is vast and interesting that may confuse you what to order, here their service staff comes to rescue. The staff is polite, happy to help and well versed with the menu. Just tell them what are you looking for and they will suggest an appropriate dish for you. Finally what we ordered. 🍽 Andrea’s House Salad: Salad can be so good that I believed here. 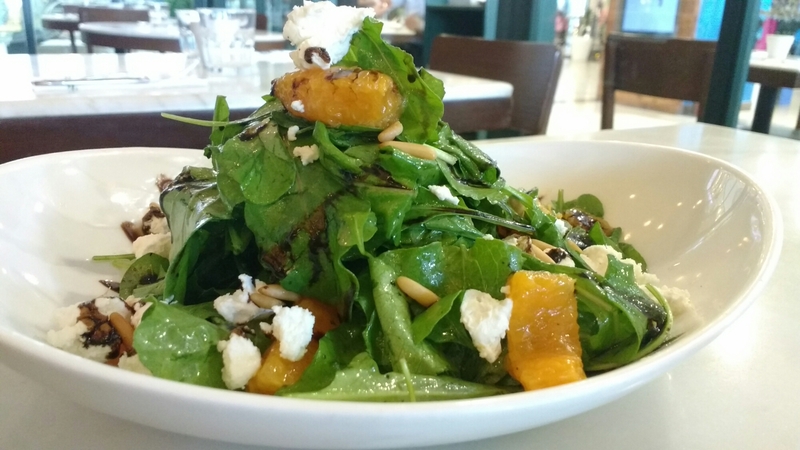 Young Rocket Leaves, Pine Nuts, Oranges and Goat Cheese tossed in sweet and sour Agrodolce Dressing. A perfect start. 🍽 Viet Cong Bánh Tráng Rolls: Vietnamese Rice Paper Roll in simple English. We ordered the Shrimp variant 4 rolls served with Nuoc Cham dip(sweet, hot and sour Vietnamese dip). 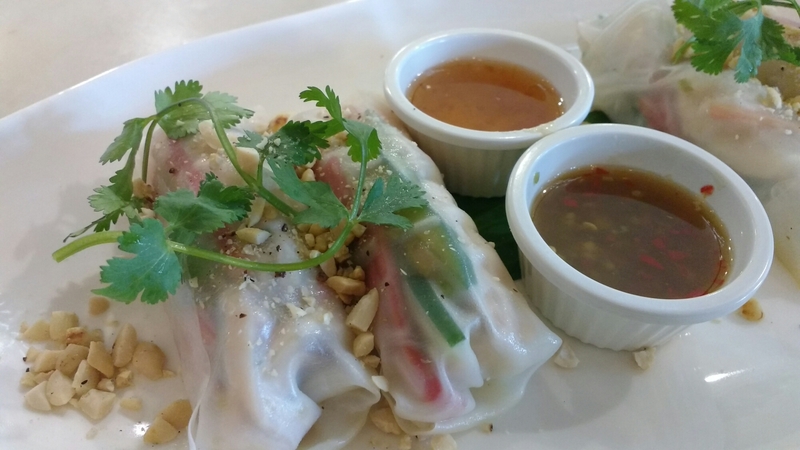 The rice paper were filled with veggies and shrimp then rolled. The dip plays an important role without the dip the rolls may taste bland. 🍽 Grilled Cajun Chicken: It’s a meal in itself. Cajun rubbed Chicken grilled to perfection. 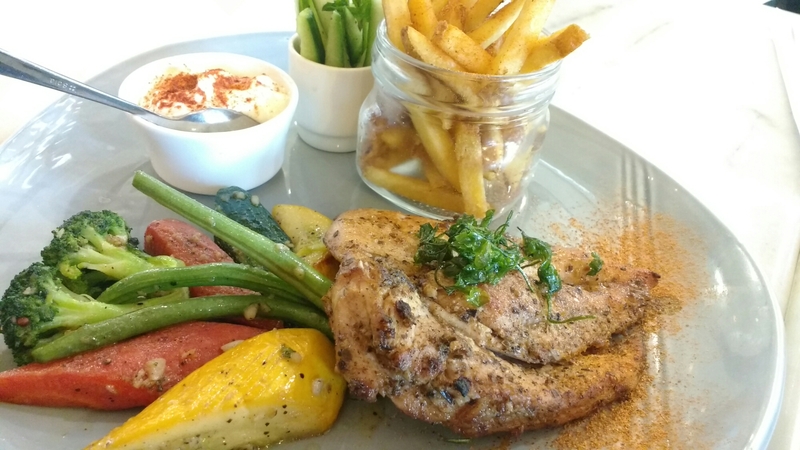 Served with Sauted Veggies, Cajun Fries, Labneh dip and Cucumber Mint Salad. Can be shared among two. If you love grill chicken this is the place to be. 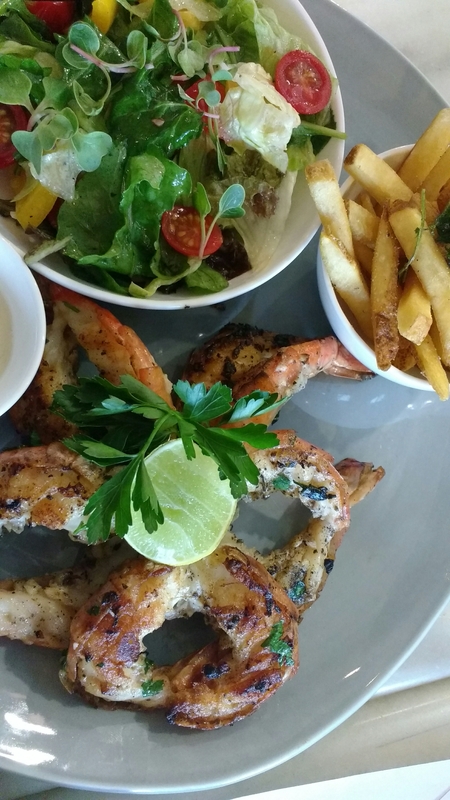 🍽 Butter Garlic Prawns: Prawns best friends are butter and Garlic, pan seared Prawns served with fries. Not everyone can make perfect Prawns and they did a fantastic job. Searing retains the moisture in the Prawns, not dry or rubbery just perfect. 🍇 Berrila Delight: The Slice itself looks so beautiful that you don’t want to eat it. But better eat is as it’s one heavenly cake. 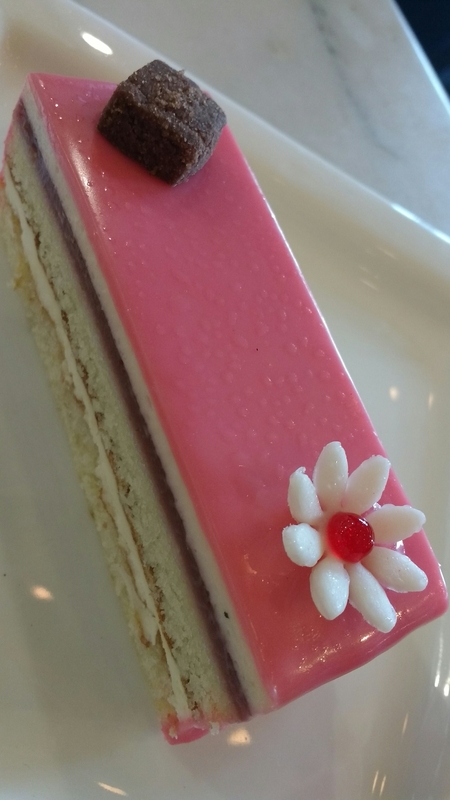 Basically a berry cake that may give an impression of just a basic thing but the taste is what makes it a distinct one. So the meal ended here. The pricing is a bit steep here but it promises fabulous food and not to forget the quantity they serve. A refreshing new place in the mall for an excellent dining experience.